Natural Tonkin and Moso bamboo poles and bamboo sticks are commercial grade with uncompromising quality. These bamboo poles and bamboo sticks can be used as a decorative element for indoor and outdoor projects by adding a calming, natural presence to your Zen space. Please note all sizes are approximate. 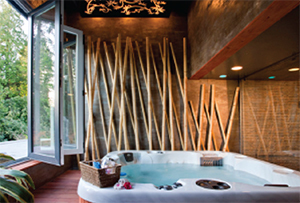 Natural bamboo poles are a great way to supplement your home inside and out with the luxurious look and feel of nature. These poles are commercial grade, built to withstand any weather condition and hold their beauty for years to come. 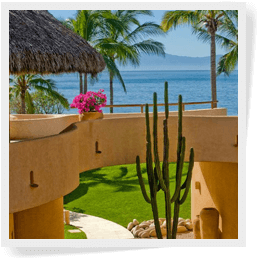 If treated with a satin polyurethane varnish, this will help to extend the life and maintain the natural color. Natural bamboo poles can complement any type of modern furnishing inside the home. Did you know that you could use bamboo poles as decorative wall pieces, art projects, accents around the living room and much more? Their natural color and clean look make these poles fit in perfectly with any style of home décor. If you are feeling creative, you could even cut them and paint them to make them fit whatever design theme you are going for. Another simple use for natural bamboo poles is to simply place them in a vase on the floor, this can add in a nice organic touch of design to any plain room. As for outdoor use, natural bamboo poles look great when you use them as a part of your landscaping design. You can use these natural bamboo poles as a nice garden space divider, a tall or short privacy fence, a nice campfire surround or fence backdrop or to even accent a pool house or garden shed. Natural bamboo poles are so versatile and can be cut to any length you desire to fit all of your indoor and outdoor décor desires. Where will your creative mind take you? 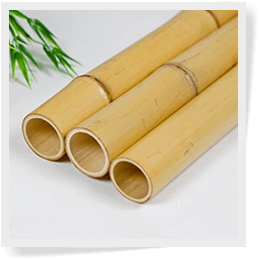 Natural bamboo poles are available in the following sizes: 3 ft., 4ft., 5ft., and 8ft. 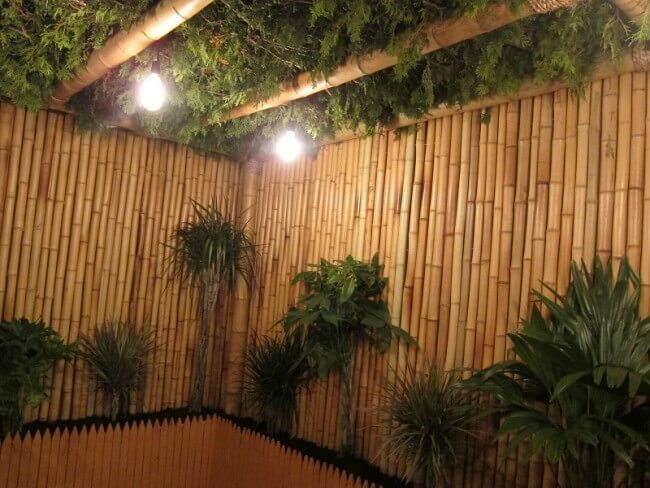 Are you ready to enhance both your interior and exterior spaces with our durable, natural bamboo poles? Order now to enjoy shipping at no extra charge to you.